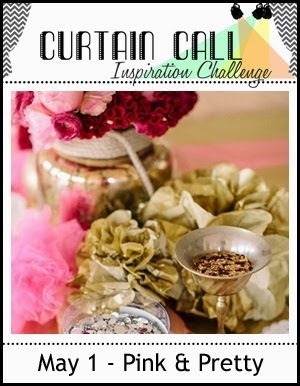 Thank you for joining us for the Curtain Call Inspiration Challenge - Pink & Pretty. 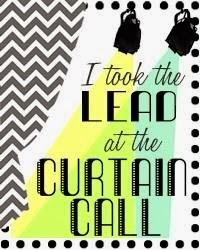 A big thank you goes to the Curtain Call readers, followers, participants and to our sponsor, Pretty Pink Posh, who is providing a gift certificate to our LEAD! Congrats, Deepti! Please email Stacey at slschaf771@aol.com to accept your prize! Deepti's card is absolutely stunning. I love everything about it! Deepti captured the essence of the inspiration photo with her beautiful inking and elegant gold embossing! All the gold on Deepti's card had me. 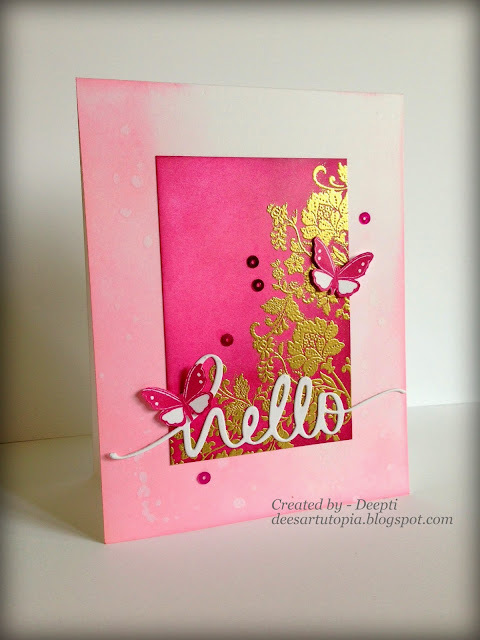 Deepti's card is absolutely gorgeous! Love it! 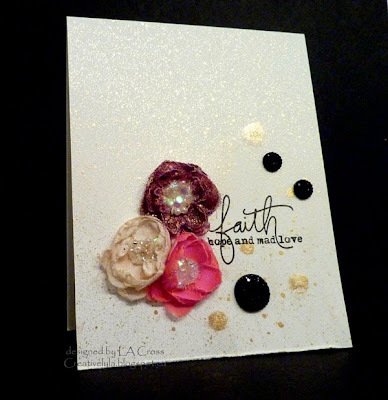 Tracy's card is GORGEOUS! Love the crisp white with pops of pink and gold! Love the fabulous bouquet Tracey created and how she incorporated the gold. I looooved the flowers Tracy did and her sweet touches of gold. 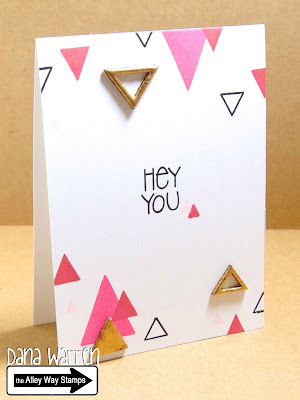 I love triangles and those gold ones on Dana W's clean and simple trendy triangle card are just fab. Love the darling trail of hearts and sparkle! 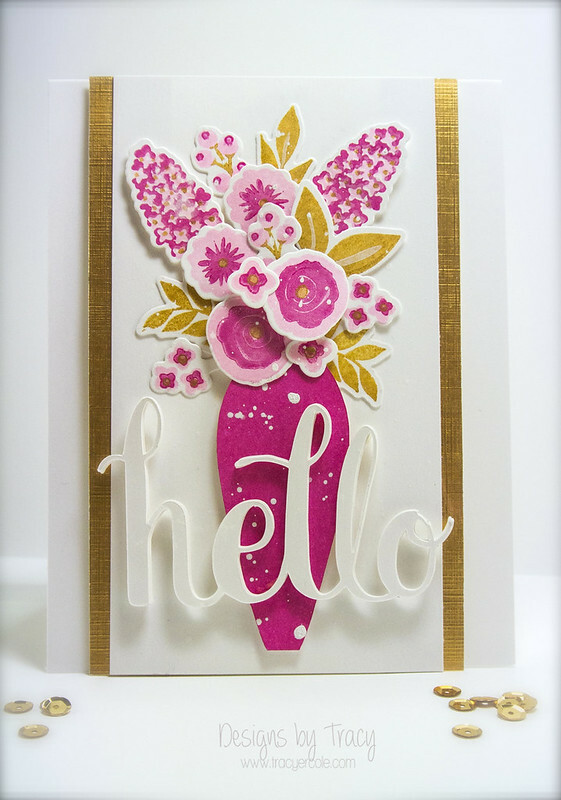 Lee-Anne's richly colored flowers with their sparkly centers are gorgeous and perfectly backed with the golden mist. Hey Deepti...congrats on your gorgeous work! 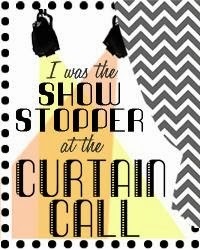 Congrats to all the showstoppers...fabulous cards everyone!